Relax and enjoy the video. "You will hire Improv Trick if you're looking for the best improv instructors and the most highly accredited experts." See Bill Chott's Work with I.A.B.C. 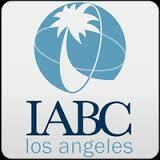 - The International Association of Business Communicators. We also provide improv comedy SHOWS, tailored to boost your message to your team or to your clients. It's the best way to add instant fun to your meetings! Improv can help your business! An improv workshop can boost creativity and teamwork. Bring our comedy show to your place of work to reward your team members.Talented Improv Trick Improvisers can make your training message come to life on stage at meetings, conferences or conventions. Bill Chott and The Improv Trick know how to address your company's needs. We've taught some of the most innovative business minds, internationally. They all had an eye toward increasing communication, productivity and satisfaction in the modern workplace. Whether you specialize in Organizational Development, Service, Sales, PR or Consulting you'll benefit from these powerful seminars and workshops. Bill Chott and The Improv Trick have held seminars for Fortune 500 companies including Barry-Whemiller International Resources, MCA, IABC, Special Olympics, NatWest Markets, and The Brickman Group. Individually, Bill Chott has worked with GE, Diamond Consulting, Tenneco Boston Consulting Group and many more. We are very sensitive to the needs of high-profile clients. A few years ago, Bill Chott performed his award-winning routines with Indra Nooyi CEO of Pepsico International. Listen to Bill Chott's interview on CBS radio's Overnight America with Jon Grayson. An improv workshop brings team members together to practice listening, acceptance and taking risks. Attendees will learn that an idea reveals more when it's acted upon. Your team will discover not just that they can learn from "mistakes" but HOW to learn from mistakes. It's a perfect way to get your key players on board for new policies and procedures. An improv workshop is the highest expression of a corporate culture that says, "We embrace and welcome ALL contributions." "...the thing that really struck me was how these exercises helped me understand more about the importance of teamwork, humility, and free-thinking."